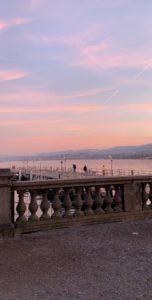 My first month in Switzerland in one blog post. 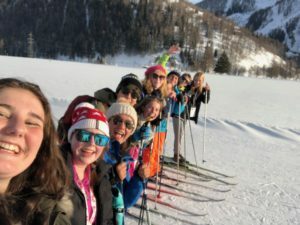 My name is Keeley Clarke and on the 19thof January 2019, I got on a plane to Switzerland to spend my year learning a language, exploring a new country, learning a new culture, creating new friendships that will last forever and finding myself – all in one year. So firstly, I would like to say that my exchange is for my own personal growth and I am doing my exchange for myself and no one else. This year I am going to change and grow into a better Keeley and I can’t wait to share my experiences with you. 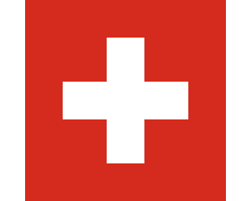 I am now at the beginning of my exchange and unfortunately Swiss people are very closed in don’t want to communicate with me. 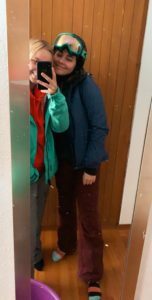 Fortunately for me in my class, there are two native English speakers that I can speak with and they have been helping me talk to others in the class. However, I cannot rely on others as this is my exchange and I need to do things by myself sometimes. One thing I really want to do on my exchange is to become more independent, this is definitely going to happen so I want to enhance it 100%. Being at the airport and saying goodbye to my family, friends and everything I knew was one of the hardest things I’ve ever done in my life. I remember when I walked through the departures gate with my suitcase and just reminding myself to breathe and to not turn around. 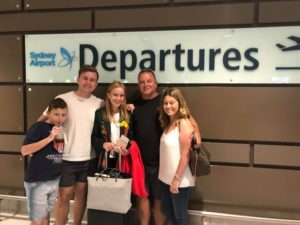 The travel time including waiting at Singapore airport was 30 hours all added up – this was the most tiring trip of my life. However, I was traveling with my new friends and the journey was filled with memories that I will never forget. 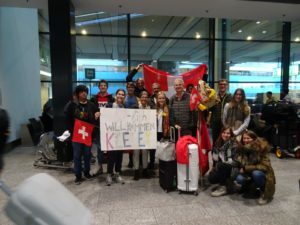 When I landed in Zurich airport, I was so excited although the most tired I have ever been in my life so I was overtired with a high of energy from the excitement. 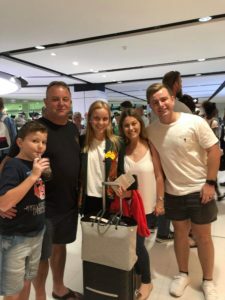 When I walked through the arrival gates, I saw my host sister first and then the rest of my host family. They were holding a big sign that said: “lich Willkommen Keeley” which translates to “Welcome Keeley”. This definitely made me feel like I was invited into their family. I was also greeted by my second host family, my YEO (youth exchange officer), his daughter that also went on exchange, my rotary club president and my counselor. We then went to a café at the airport for a “welcome drink.” I remember sitting at the table with nearly 20 new people that I had just met and my leg was shaking of nerves. The language camp was held in “Fiesch” in the “Jungfrau” region surrounded by the beautiful Swiss Alps. We stayed in a big dorm-like space, the rooms had 2 bunk beds in them and we were with people from our countries. There were two classrooms where we learned our German and was also a pool. We ate in a big hall which also people from the public ate in. I lived off bread and soup for two weeks and it was great. I also think that I gained 2 kgs just from that. On the language camp, I made long life friends and created memories with them that will never be forgotten. We went cross country skiing which was so much fun. In the beginning, I was really bad and kept falling over but by the end, I was really good and could actually stand up. When we were going back to the train, we skied there and there was a mini hill at the end. I went down and fell on top of someone and then 2 other people came down after me and, in the end, there was 5 of us laying there with skis everywhere and that is when I decided that cross country skiing was not for me. We had 60 lessons within the 2 weeks and at the end, we did the A1 German test. Once I got home from the language camp, I had one night in my bed and then my family took me to their ski lodge in the Swiss Alps. Grindelwald is one of the prettiest places to ski in all of Switzerland. 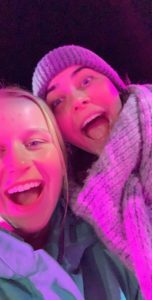 Once we arrived in Grindelwald, it took about 1.5 hours to get there and my host sister thought that it was forever and then I told her that that is how long it takes me to get to school each day in Australia, her face was priceless. Their house is Grindelwald was so pretty and the view from the balcony was absolutely breathtaking. 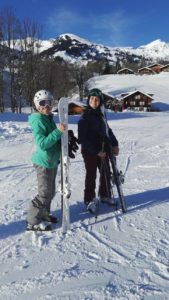 While I was in Grindelwald I skied every day apart from Sunday and I also went sledding and ice skating. The ice skating was in Interlaken and the ice rink was so cool. It was outdoors and there were disco lights and loud music. It was so cool and there were so many activities to do on the ice. When I went sledding, I went with my host sister and my host father. My host father decided to take me on the steepest and longest track first. This was probably not the best idea as I went flying off a cliff…literally and had to climb up a 5-meter snow wall with my ski clothes and helmet on. As you can imagine I was struggling but it was a good laugh and one of the best stories to tell at the dinner table. When I started skiing with my family I was so bad and kept practicing literally every day. 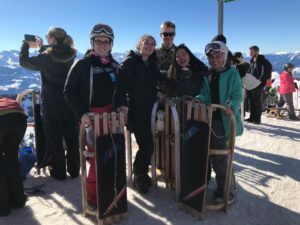 By the end of the two weeks, I was skiing black runs and was so fast. After at least 500 stacks I could finally ski one slope without falling flat on my face. Grindelwald was the starting point of my love for traditional Swiss meals. In Grindelwald, we tried Fondue, Raclette, Apfel Rosti, Margarita Rosti, and so many other swiss foods. I am going to gain at least 10 kilos this year. I have now been in the Swiss school for three weeks. Being at a German-speaking school and only being able to speak a little bit of German is very challenging, although it is going to improve my German so much. Obviously, I won’t be able to speak fluent German after three weeks of school but I have already noticed a difference with my level of German. I learn something new every day here which is definitely an advantage of my exchange year. I go to a Kantonschule which is very different to Australian school. Here in the Kan,ti I start school some days at 8 and some days at 10. On Thursday especially I start at 10 and finish at 1:25 and that includes a lunch break. Every lesson goes for 45 mins and in between classes you have a 10-minute break and then to the next class. Most classes are double lessons and they are tiring even with the break. I have been tired since I arrived here in Switzerland but I am trying to make it not affect me negatively. Wow, the homesickness is real. I just attended my first rotary meeting and I was very nervous to go. I had been told that I would have to introduce myself to my club in German and tell them what I am doing here in Switzerland. My YEO (youth exchange officer) picked me up from the closest station to my school and drove me to the restaurant for lunch and the meeting. He could tell that I was nervous and told me that it would be okay and to not be worried about my German as I am only new to speaking it. As I learn more German, I start to forget how to speak English. I know it sounds silly but it’s happening. After my first month, I can officially say that I am in love with Switzerland. I have included some photos of the beautiful sunsets that I see while walking home from the bus. To get home there is a big hill and 64 stairs to get to my front door…I hate stairs but the trek home is definitely worth the view. Switzerland is my new home for the next year and I am so proud to call it mine. 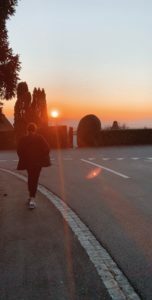 Ihr erster Blog aus der Schweiz war sehr interessant. Es sieht so aus, als würden Sie sich sehr gut einleben. 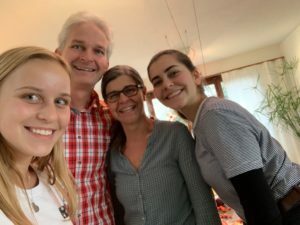 Ihre Suisse-Familie sieht reizend aus und Sie scheinen sich sehr gut verschmelzen zu lassen. Machen Sie sich keine Sorgen, zu Hause krank zu sein. Dies ist nur eine normale Sache und Sie werden sich mit der Zeit anpassen. Ich bin mit 17 von zu Hause gegangen und war noch nie ein einziges Mal krank. Was das Erlernen der deutschen Sprache angeht, sagte einmal ein Freund von mir, der fließend fließend ist, zu mir, dass es einer der leichteren ist, zu lernen. Er hat mir gesagt, dass, sobald man auf Deutsch zu denken beginnt, alles leichter wird auf. Es scheint, dass dies bereits geschehen ist, weil Sie einige Ihrer Englischkenntnisse vergessen. 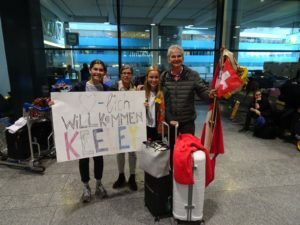 In jedem Fall Liebling, Sie haben einfach die beste Zeit in der Schweiz und sind sicher. Die Zeit wird für Sie so schnell vergehen, aber die Erinnerungen bleiben für immer. Genieße deine Zeit, wir denken an dich. I am so happy for you, a trip and experience of a life time!